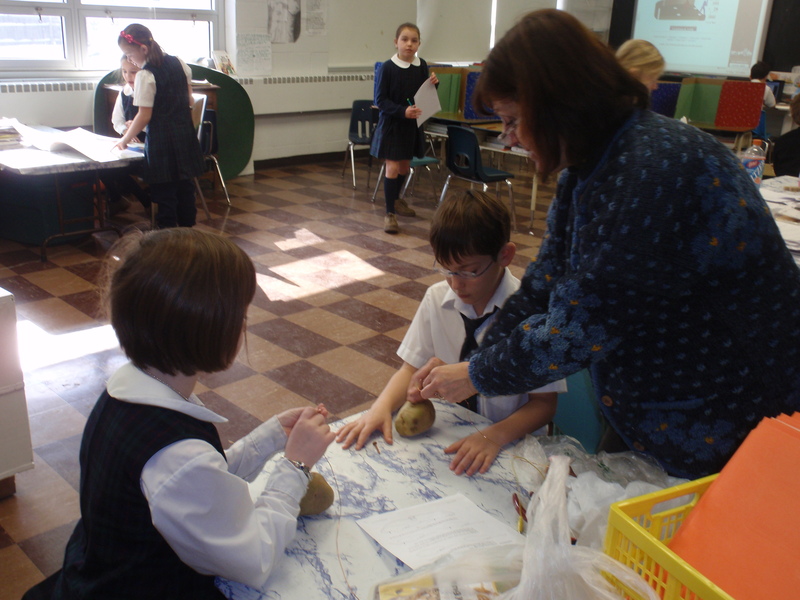 This morning it was dark and dreary outside, but inside St. Patrick’s School, we were smiling and glowing with pride. 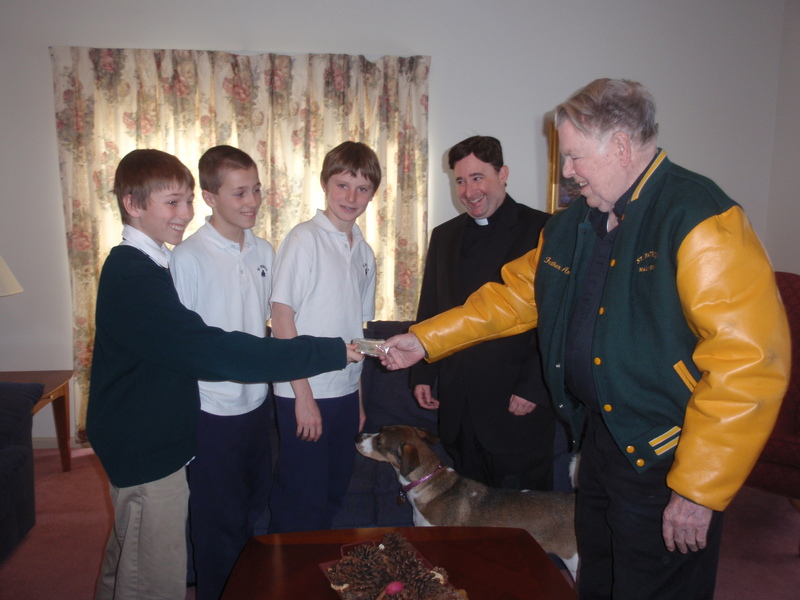 As I was preparing to pray the morning prayers with the school community, three 6th grade boys came to the office with $50.00 in a baggie. They explained that they knew about the letter Fr. Ambrogi, our pastor, had written to the parishioners asking them to be as generous as they could in supporting the church and school. 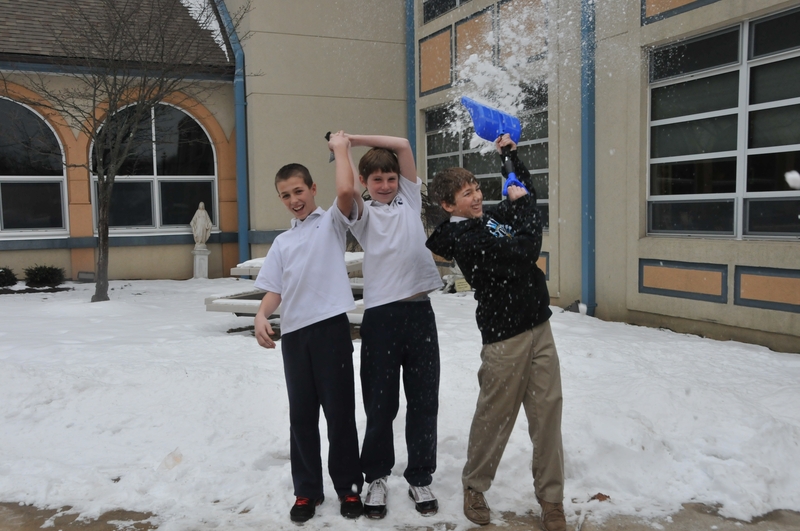 These 3 gentlemen shoveled snow last week during their snow day and donated the proceeds to the parish! How great is that!?!?!? I am so proud and feel confident that the Gospel Message of caring for each other, of being generous and thinking of others is alive and well at St. Pat’s! Thank you to Chris, Matt and Jack for being an example of Christian living! We Are Bursting with Technology! 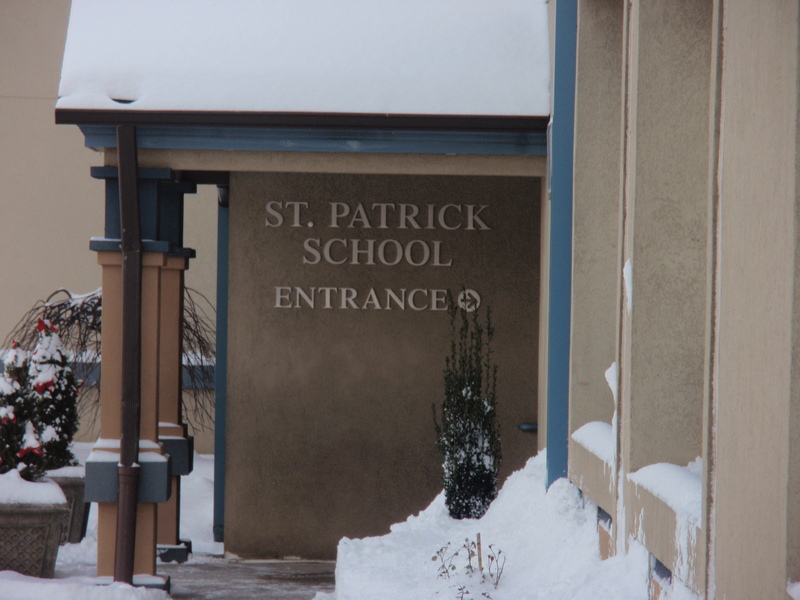 St. Pat’s is very proud of its primary building’s new computer lab! 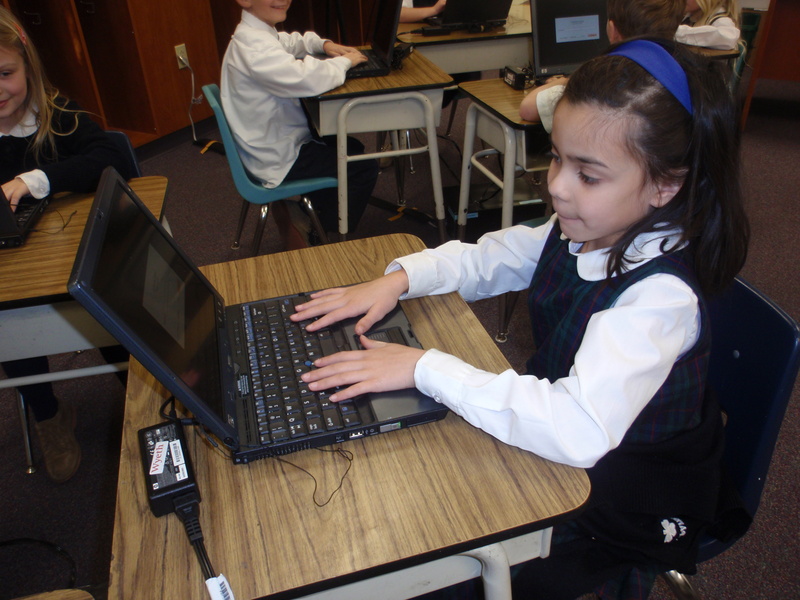 It is stocked with enough laptops for a class of kindergarten or first grade to use. Our teachers and young students are very excited to have on-site access to computers – now they don’t have to travel across the street to “the big school” in order to get on-line and have some fun with technology! This new addition to our school is just another way that St. Pat’s is on the leading edge of technology and education in Chester County! Let It Snow! Let Us Learn! What a beautiful scene as I look out my office window! 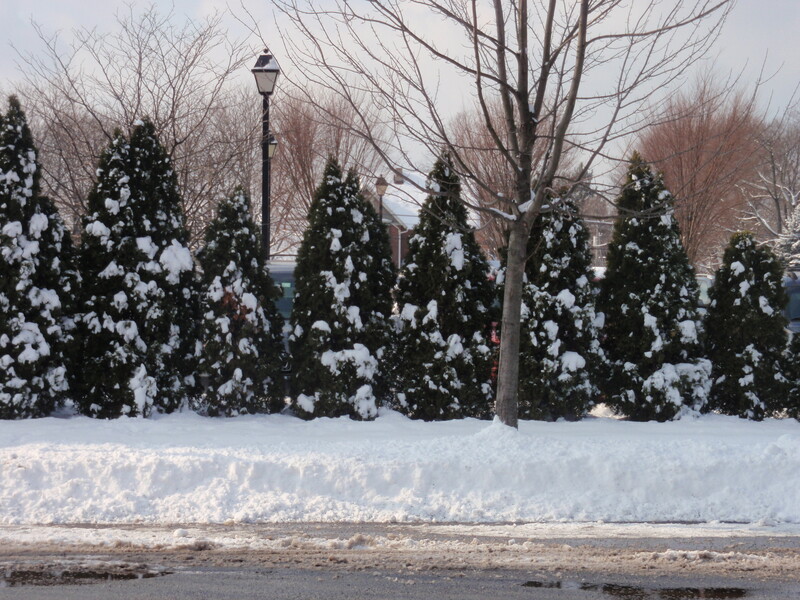 The snow is so clean and pristine, the sun is shining, and our faculty and students are so glad that we are in school and not having a day off – how great is that!?!?!?! Mother Nature really cooperated with us last night – the snow storm hit hard during the night and early morning hours dropping 4-5 inches of snow, but then it stopped early enough for the plows and clean-up crews to get out there and make the roads passable and safe – we only had to have a 2 hour delay! 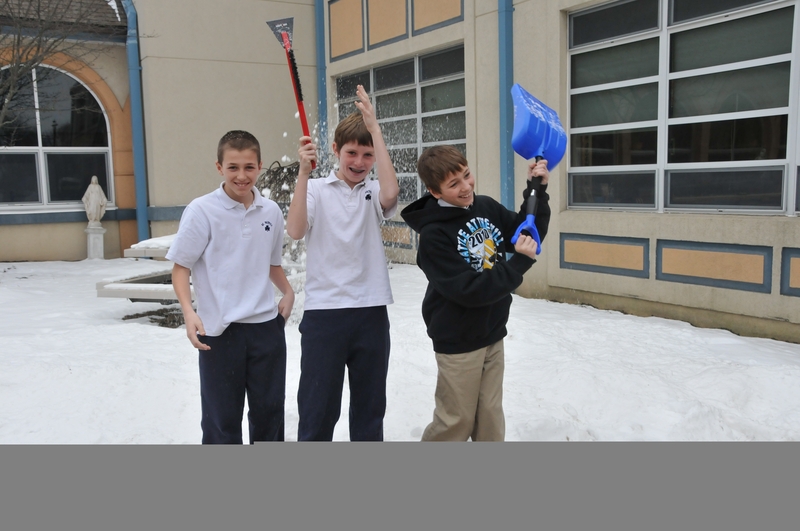 Right now everyone is in their classrooms and the teaching and learning are in full gear – what a great snow day!! !